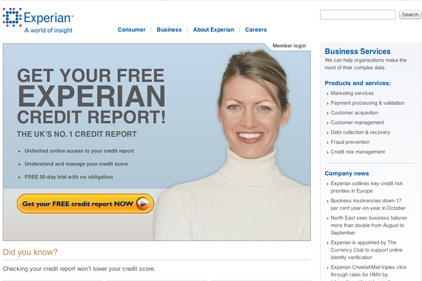 Experian, the online credit checker, has appointed Blue Rubicon to handle PR in the UK and Ireland for its marketing services and SME businesses. Following a competitive pitch process, Blue Rubicon won the brief for the marketing services business. The incumbent was Hotwire. This is the first time Experian has used an agency to handle the communications for its SME business and Blue Rubicon won the brief in a separate pitch.